The concepts around securing public cloud workloads are well understood, but can be challenging to operationalize at scale. When the security of your applications and data in the cloud is at stake, you need complete visibility and control over your security posture with active protection. CloudGuard Dome9 delivers verifiable infrastructure security and compliance for public and multi-cloud environments. 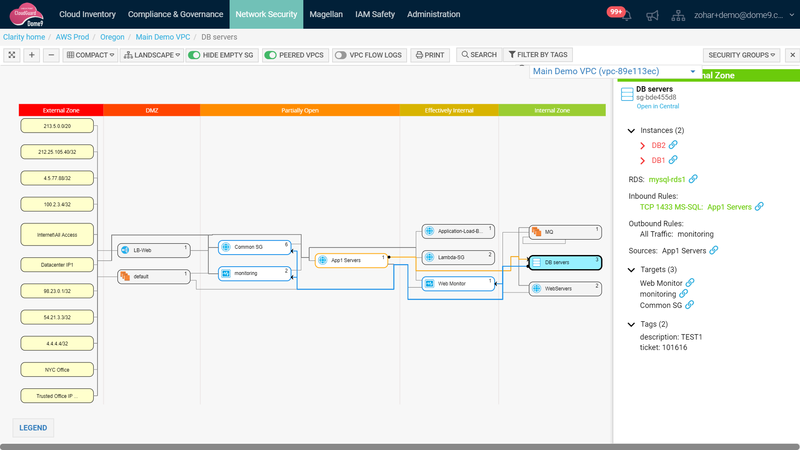 Request a quick demo to view CloudGuard Dome9’s full capabilities and to answer any questions you may have.